Review Context: I’m not the biggest fighting game fan, but I have played a few from the Dragonball Z Budokai series, as well as Super Smash Bros and Marvel Vs Capcom 3. Disclosure: This main review was based off of a review copy provided by Fortyseven Communications. When J-Stars Victory VS was first released for Playstation 3 it was only available overseas in Japan. 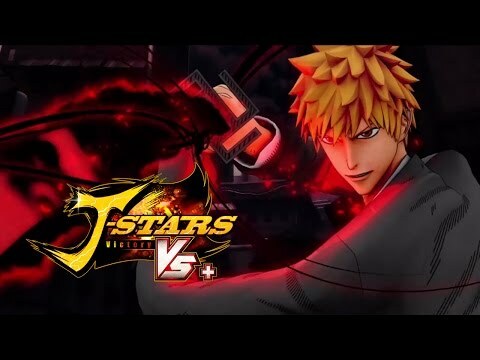 Thanks to the high demand of fans asking for the game to make its way to North America, their prayers were answered with the release of the J-Stars Victory VS+ in western territories, which is a remastered English version of J-Stars Victory VS. J-Stars Victory VS+ is a 3D arena fighting game, featuring an all-star cast of anime heavyweights, such as Goku, Naruto, Ichigo, and Yusuke going head-to-head in frantic and fast-paced combat. This idea sounds great on paper, but does it all come together to craft a great game, or is this just another case of too much ambition and not enough execution? I first want to get into the aesthetics and gameplay, as there is a lot to cover here. When you first start the game, you will notice only five to six fighters are available. To unlock new characters, you will have to use the money earned from fights to purchase them from the shop. You can also purchase special items and J-Cards, which you can equip on your favorite fighters to boost their stats. Seeing how everything costs a considerable amount of cash, there will be a lot of time spent grinding. At the time of this review, I’ve unlocked about 25 fighters, and I still got a whopping 25 to go! Now let’s get to the combat: Before you begin fighting, you have to choose your team, two fighters and one support fighter. Support fighters can assist you at the touch of a button, once a certain amount of time has passed. Once in combat, you have your light and heavy attacks, which you can combine to execute some rather flashy combos. 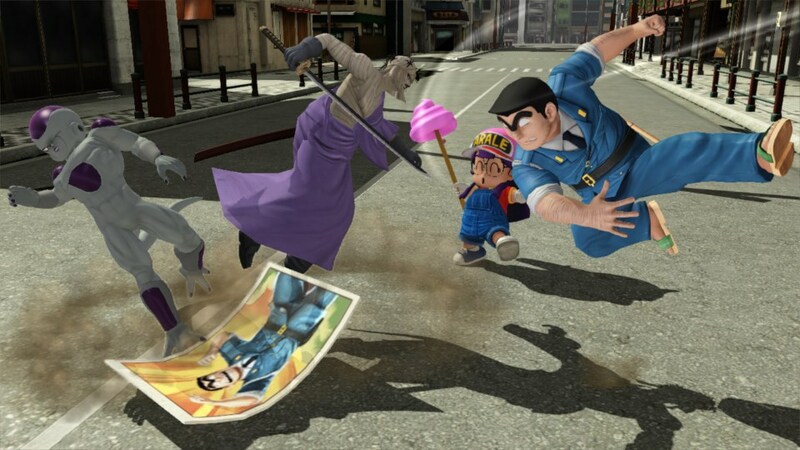 You can dash towards your enemy, lock on, use a crowd control attack, and dish out an unblockable attack. Additionally, you can also block, jump and evade attacks, giving you have a deep and dynamic fighting system. You win fights by knocking out members of the other team three times, indicated by the three notches visible on the game’s hub. As you dish out punishment, your victory gauge meter increases, and once it’s all filled up, you’re able to go into ‘victory rush.’ Victory rush greatly increases various stats on your fighters and allows you to unleash your ultimate attack, which does massive damage and quickly turns the tide of the battle in your favor. All in all, the combat is very fun, and while it has a steep learning curve, anyone can jump in and enjoy themselves. I love J-Stars Victory VS+’s presentation: From the gorgeous intro, to the quirky dialogue between the popular characters, there is a lot to digest here. I especially loved seeing Goku and Vegeta acknowledge one another right before a fight. While some might not deem this important, I found this to be pretty awesome because not only is it great fan service, it also brings these iconic characters to life more. There are a slew of game modes to choose from, and they are all surprisingly robust! In adventure mode, you can play as either Naruto, Ichigo, Toriko, or Luffy and embark on a journey, gain new allies, take on side quests, and participate in a big tournament, all while leveling up your stats and earning money. Speaking of leveling up, there are three stats that increase whenever you level up: support, triumph and victory. Victory increases defense, support uses less stamina, and triumph increases offense. Aside from the dialogue and characters you meet, the experience will be virtually the same no matter who you choose to play as. This will probably be the mode players spend the most time in, simply due to the vast amount of activities to partake in. One last thing I want to note about adventure mode is that there are no cutscenes. While I was disappointed at first, I quickly grew accustomed to it due to the entertainment I got out of the characters from different series engaging in dialogue and throwing jabs at one another. Also be pepared to do a lot of reading, since the entire game’s dialogue is in Japanese. 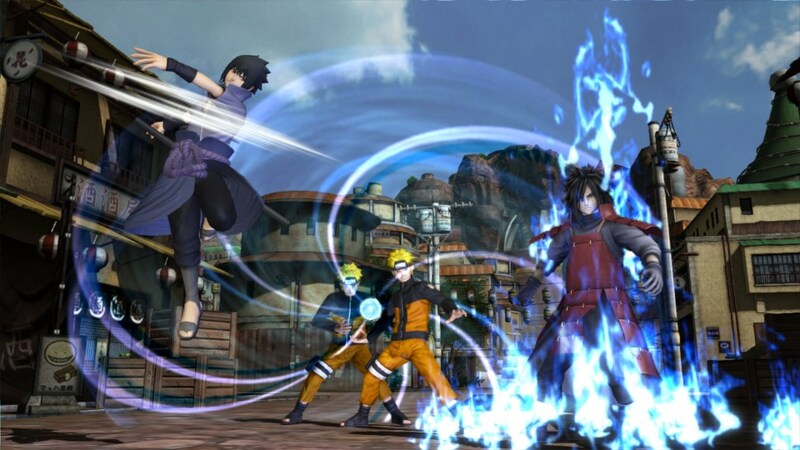 Adventure road is the next mode available, and as the name suggests, you travel to popular locales from Naruto, Bleach, and One Piece taking on adversaries. Once you defeat all the enemies in a specific town, you move on to the next one until you conquer them all. I had tons of fun with this mode, and I find that it’s perfect for leveling up, earning money, and honing my skills for the surprisingly competitive multiplayer. The next mode is free battle; a very misleading title, as it is actually a versus mode where you can play locally with or against friends, or just fight against the computer. I found that this was a great mode to experiment with different techniques and find the fighter that best fits your playing style. If you’re looking to take on adversaries with fighting styles that differ from the last, then arcade mode is the one for you. in this mode, you can choose to fight fighters from different categories. For example you can fight against tactical fighters who use clever tactics to get the upper hand, or you can take on fighters who continuously dish out special techniques to achieve victory. Some categories are harder than others but they all provide an adequate challenge for even the best players. If you are the type to be easily scared off from complex fighters, such as Street Fighter or Mortal Kombat, do not worry, you’ll be right at home with this game. Combos, special techniques, and ultimate attacks are all executed by the press of one or two buttons. Controls are very easy to get into, which makes them very accessible to newcomers. There are no rotations of the analog sticks, or crazy input commands found in more advanced fighting games. So in short, this game is very welcoming to just about anyone, and the difficulty really comes from the opponents you have to face, as opposed to the controls themselves. This game would just not be complete without an online multiplayer mode, and thankfully it’s included. In multiplayer, you have two choices, friendly battle and ranked battle. Friendly battle is the more welcoming of the two, since you can fight without the fear of lowering your rank and on your own terms. In ranked battle however, the fights are intensified exponentially, as everyone is out for blood, wanting to increase their rank. Competition is fierce and you will have to skillfully use all the tools at your disposal to win against the best of the best. The game’s performance is not perfect, but it is highly playable, as there was little to no lag, save for some minor stuttering here and there. The fights ran fairly smooth, and I was able to keep up with all of the craziness taking place on the television screen. I went against some very skilled players online, so any victory I achieved was highly satisfying. You can also check the leaderboards to see how you stack up against other players around the world. The multiplayer is highly enjoyable, but I would have liked to see more modes, perhaps 1v1, or maybe even king of the hill. Regardless, there’s tons of fun to be had with the offline modes, so the online multiplayer is a nice added bonus. 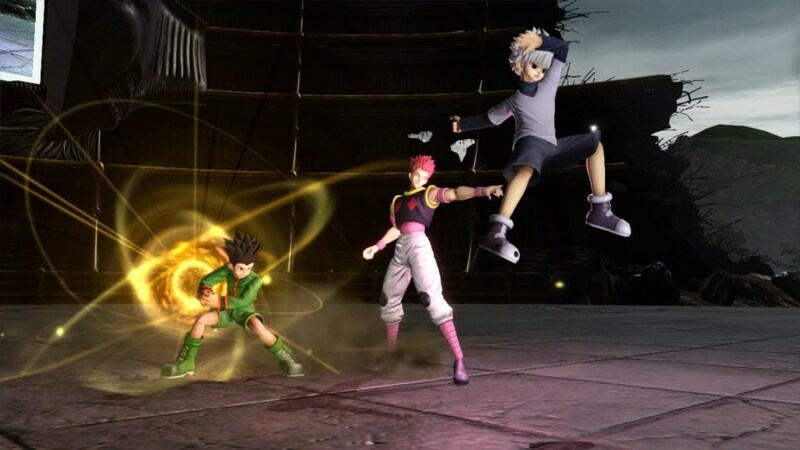 To wrap things up, J-Stars Victory Vs+ is a highly enjoyable fighter, packed with a lot of content. With the multitude of fun game modes and items to buy, I could see myself playing this for months. I would have liked more fighters to choose from, and it’s a bummer that certain fighters can only play the support role, but that’s a minor complaint compared to everything else this game does right. The good folks at Spike Chunsoft poured a lot of love into this project, and it shows. I haven’t had this much fun since the Dragonball Z Budokai days, and that’s saying something. If you’re an anime fan, especially the Shonen genre, then this game is a must-have!